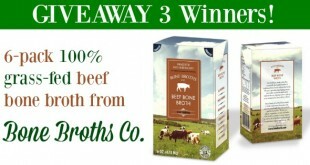 Home / Real Food Recipes Blog / Black Friday Sale! 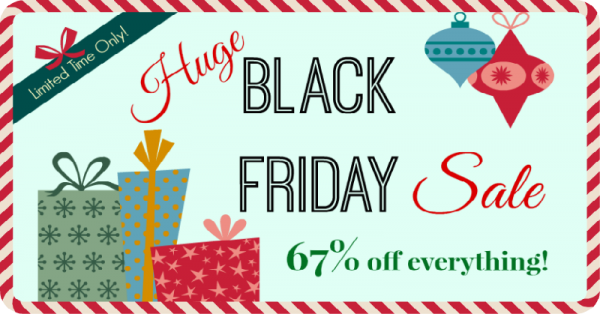 Skip the crazy long, holiday lines and check out these Black Friday savings! If you’ve been wanting to read one of these books or sign up for one of my cooking classes but haven’t gotten around to it, NOW is a great time! But hurry! 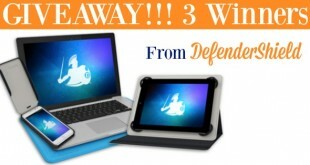 These special offers start today and end Monday, December 2nd at midnight. 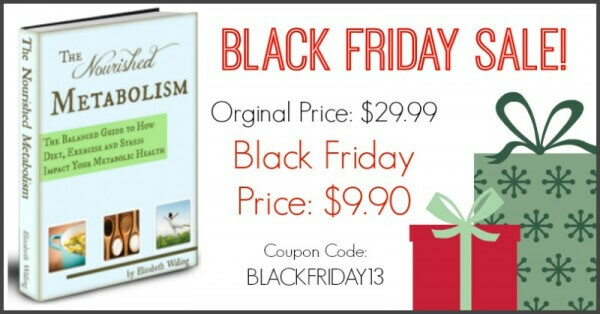 I am so excited to see my favorite health book of 2013 included in the black friday sale! This book changed my life and I recommend it to everyone I know. Health starts with your metabolism. But if your diet and lifestyle don’t support your metabolic health, you’ll be left feeling tired, moody, and stressed–and wondering why all this “healthy” advice you’re following isn’t working for you. 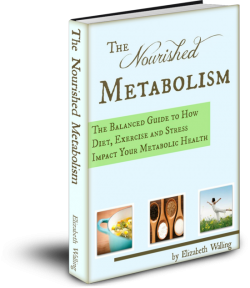 This book is a balanced guide for learning how to improve your metabolic health with simple but powerful changes in your diet and lifestyle that will bring your metabolism back to its optimal state–a state where things like low energy, insomnia, poor digestion, low body temperature, dull skin, and mood swings become the rarity instead of the everyday. Look, I’m one of the instructors in this video series! 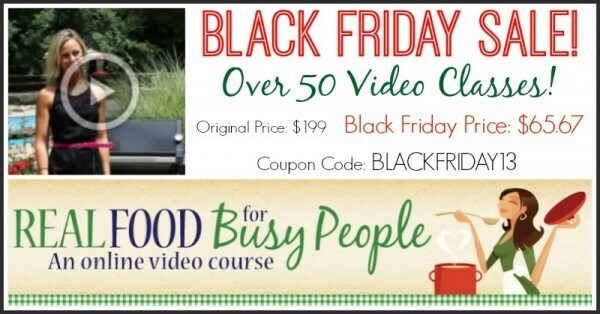 🙂 If you want to learn insider tips and secrets to making real food work for busy people without losing your sanity or breaking the bank, these video classes will be incredibly helpful. There’s over 50 video classes that you’ll have life-time access where you can learn how to make food in bulk and freeze it, learn how to make kombucha, fermented foods and other real food staples, and much, much more! In one of my classes, I teach you all about freezer cooking and show you how to make 5 freezer dinners in under an hour! These classes are AWESOME and totally worth every penny! Say goodbye to heartburn forever! 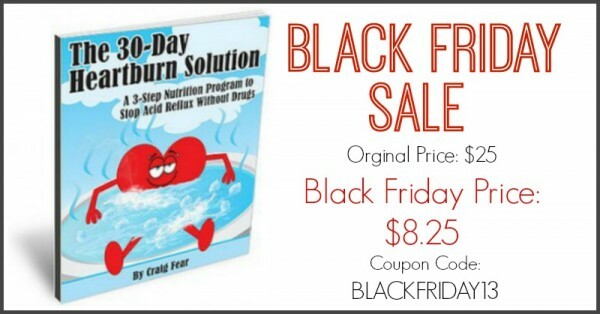 If you or someone you love is suffering from heartburn or GERD, you will want to take advantage of the powerful information in this book. The author, Craig Fear, developed a step by step nutritional treatment plan that he uses with patients in his practice (Pioneer Valley Nutritional Therapy in MA), and that’s the protocol that he shares in this book. 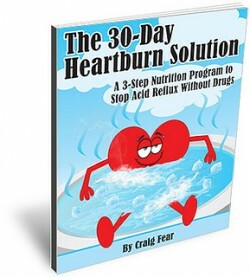 This book is packed full of scientific knowledge about how to heal heartburn and GERD naturally. This is a book I highly endorse and recommend. This is a must have book for the busy mom and dad’s who want to feed their family real food, but are overwhelmed with the idea of cooking meals from scratch and worried about breaking the bank. This book covers the secrets to making food your family will eat, how to save time and money on real food, how to restock your pantry with real food alternatives, how to save time on prep and much more. 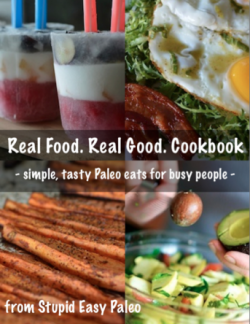 There’s also over 30 real food, easy recipes included. 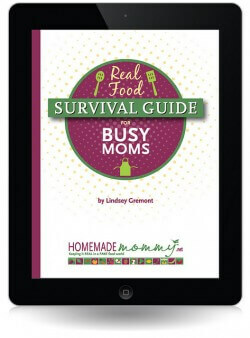 The author is a busy, working mom herself and gives practical, real life advice to help your family get started eating real food. Do you or someone you know suffer with a food allergy? 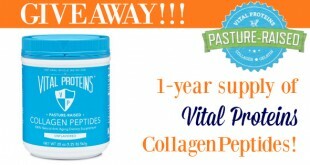 Did you know that 99% of food allergies are reversible? It’s true! Sure, there are some food allergies, also known as true allergies, that you are born with and you can’t recover from. But those account for only about 1% of all food allergies. Chances are if you are suffering from a food allergy, it’s possible to reverse it. 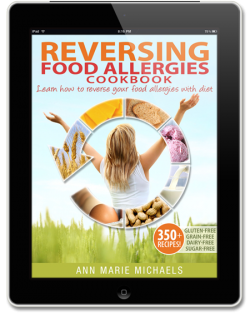 The author wrote The Reversing Food Allergies Cookbook because she wanted to share with others how she reversed her food allergies. She also gives you over 350 recipes that you can eat on an elimination diet that is grain-free, sugar-free and dairy-free. These recipes cover the entire spectrum — from stocks and staples to the main meals of the day, candies, beverages, appetizers, desserts and more! If you have problems going to sleep or staying asleep, you’ll want to get your hands on this super informative book. 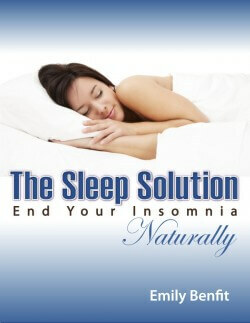 Insomnia is a serious health concern because it impacts so many areas of your life. The strategies outlined in this book aren’t only going to give your body back the sleep it needs, but they will bring balance back to your body on a physiological level which affects all aspects of your health. Learn the root cause of your insomnia, what supplements work and what supplements you want to avoid, how nutrition impacts sleep, what to do when you wake up in the middle of the night and more! It even includes sleep supportive real food recipes. 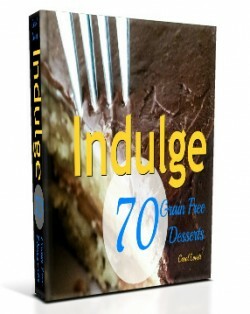 This is one of the best grain free dessert cookbooks I’ve seen! It includes 162 pages of beautifully photographed, mouthwatering, grain and dairy free dessert recipes adhering to Paleo principles. It also includes many egg and nut free recipes. The Real Food. Real Good. cookbook is a 45-page, full color collection of really good, real food recipes. There’s nothing artificial or heavily processed included. There’s twenty select grain-, legume-, dairy- and refined-sugar free recipes, each following a Paleo template. One of the reasons I love this cookbook so much is that the methods are a cinch. It’s easy. It’s real food. Anyone can make these easy recipes and they taste amazing, too! 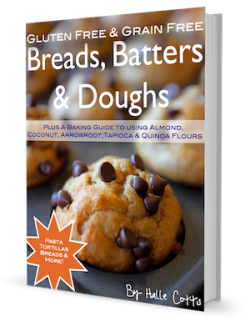 In this beautifully photographed cookbook, you’ll learn how to use gluten free & grain free alternative flours, how to create delicious recipes like breads, pastas and tortillas that the whole family will love! Plus, you’ll get 6 bonus cooking class video’s where you’ll learn how to make chocolate zucchini bread, season a stainless steel pan to create a nonstick surface, make homemade coconut flour and coconut butter, cook a pumpkin and other squashes and make homemade fudge! This book will help guide you through the gluten-free hype to discover nourishing foods your family should eat and foods to avoid. This book contains more than130 pages of recipes and tips including how to avoid heavily refined and processed foods, real food nutrition tips, how to encourage kids to become healthy eaters and much more. 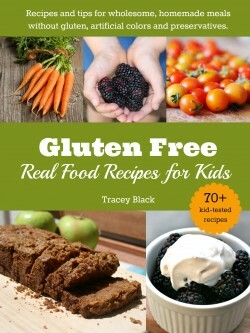 Plus, you’ll find 70+ delicious, kid-tested recipes the whole family will love, including appetizers and snacks, dressings and condiments, beverages, main dishes and desserts, without gluten, artificial ingredients and preservatives. This book provides timeless information on the best practices to create an active lifestyle with practical plans for improving health through exercise. 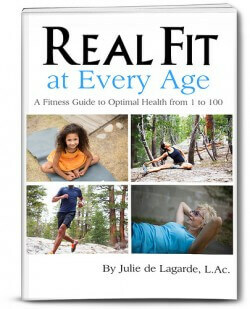 Whether you are young or old, on the slim side or carrying extra pounds, male or female, active or even homebound, Julie’s book offers straightforward directions for everyone. 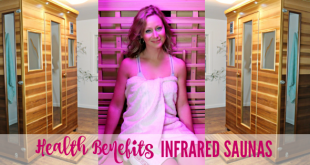 She covers essential topics like exercise for fertility and pregnancy, dealing with injuries, women’s health, and how to age gracefully with regular modified routines. Don’t miss out! These Black Friday special offers only last until Monday, December 2nd! Do you usually shop on Black Friday or do you prefer to internet shop like me?